Tim Ho Wan lured us back to its abode with the delicious thought of having pork buns again. After all, it had been three years since the last time we dined in this popular dim sum restaurant so it was an inviting proposition. It was a Friday evening and Khris and I thought that braving the EDSA traffic with grumbling stomachs was not such a good idea. Aside from our craving for pork buns, we decided to have dinner at Tim Ho Wan for practicality’s sake; it was near the P2P bus station in Glorietta 3. Although it was a Friday evening, the waiting line was surprisingly short. Is it an indication that the popularity of Tim Ho Wan was waning? Probably not because there were still many diners inside the restaurant. Maybe it was just the initial curiosity of people with Tim Ho Wan that was declining. Nonetheless, I think Tim Ho Wan is still one of the best restaurants (its Hong Kong outlet is a Michelin Star restaurant) where one may enjoy the taste of authentic Chinese dim sum. We ordered the classic pork spareribs rice, steamed beef balls with bean curd skin, and steamed fresh vegetables with oyster sauce. In true Tim Ho Wan fashion, our orders arrived fast and hot. Khris and I divided the pork spareribs rice between us because we did not want to eat too much rice. It was flavorful and the meat chunks easily yielded to each bite. It was also good that diners could opt to have more sauce added to their rice; just ask the servers to do so. 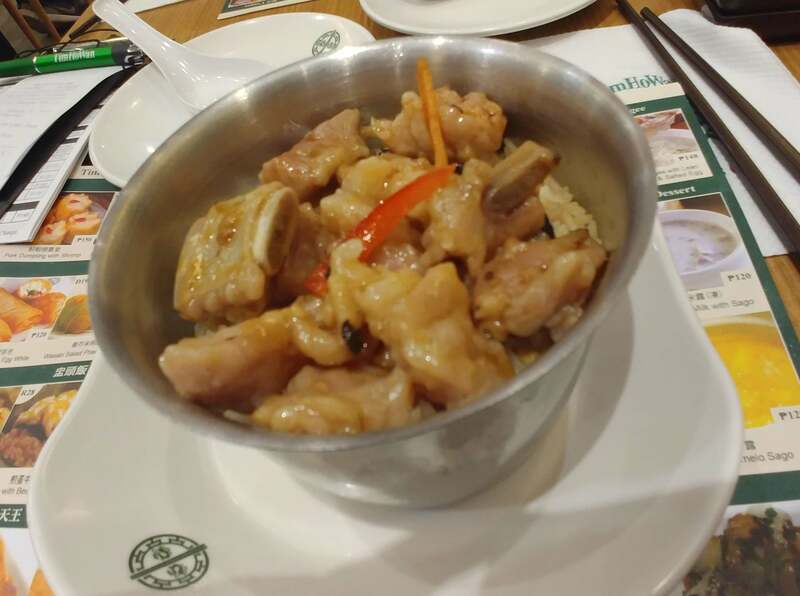 However, what we noticed about it was that the servings were a lot smaller as compared to the pork spareribs rice from another of our favorite Chinese restaurant. It was not so much of an issue for us though because we only wanted to have small portions. 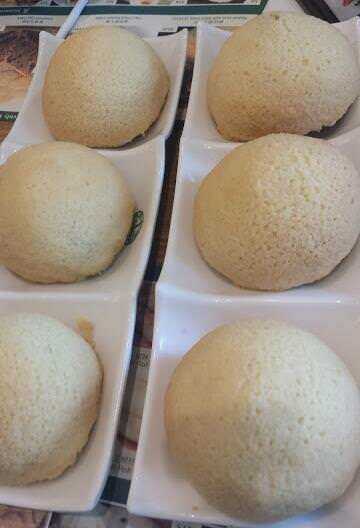 But for those who have big appetites, the size of the serving could be a possible demerit to Tim Ho Wan. As for dim sum, we wanted to try one that is all-meat because we almost always order shrimp dumplings when we are in Chinese restaurants. Thus, the beef ball wrapped in bean curd skin was a logical choice. 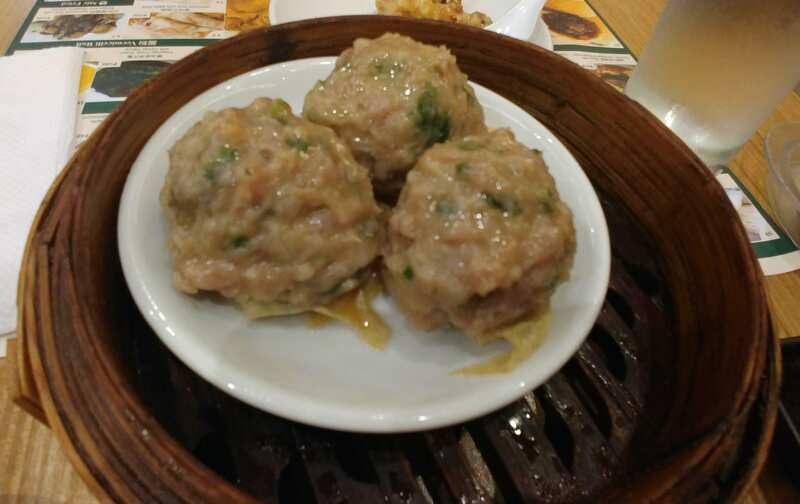 In a short period of time, three steamed beef balls arrived immediately after the pork spareribs rice. Take extra caution when eating any of Tim Ho Wan’s steamed dumplings because they arrive very hot. Anyway, the beef ball was a welcome change from seafood dumplings. It was beefy and meaty, you can tell that it was almost 100% meat and not just extenders and flour because it was remarkably tender. Each bite was also bursting with flavor so it will surely satisfy any meat lover. 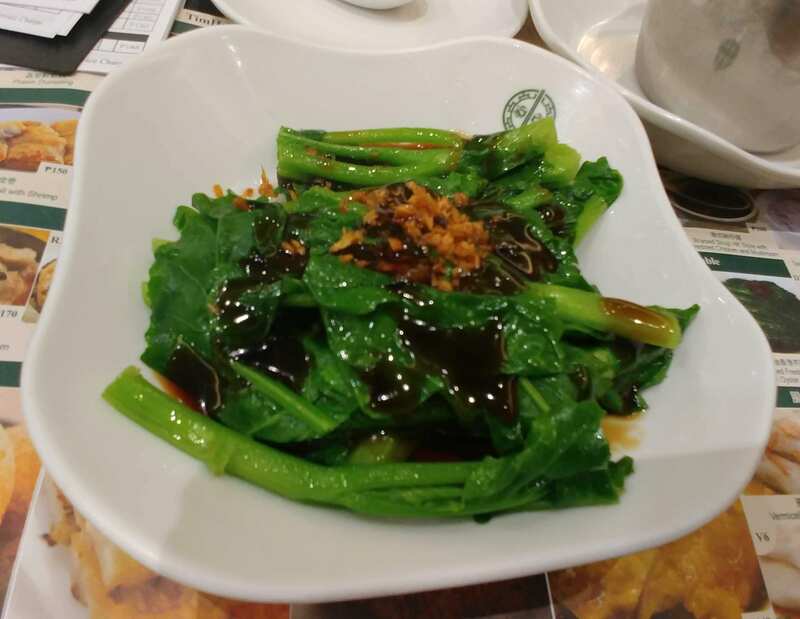 Our last order was the steamed fresh vegetables with oyster sauce. This is another perennial favorite when we are eating in Chinese restaurants. We liked Tim Ho Wan’s version because it was still crisp although the vegetables were cooked evenly; it did not have any bitter aftertaste. The stalks were also firm to the bite and were enjoyable to munch on. This simple dish is perfect for those who would like to have something light yet delicious. As for the pork buns, we got two orders and just had them to go, for sharing at home. The bus ride to Fairview took us more than two hours so it was just fair to have a little snack when we got home. The pork buns are still as good as the last time we had them: the pasty is delicate with just the right hint of sweetness. It perfectly balanced the sweet-savory pork barbecue filling. For this dinner, we spent Php800++. It was not bad but considering the size of the servings, I would consider Tim Ho Wan as an occasional indulgence. All in all, the experience was good. Service was fast and impeccable, and the food was delicious. Most Tim Ho Wan branches also recommend making a reservation to avoid the long queue. Give them a quick call before your visit to reserve your seats. Menu and pricing are available here. Yum. I'm hungry for this just reading about it! I would love to try dim sum at Tim Ho Wan. The salad with oyster sauce looks appetizing too. Nice! The food looks delicious. I would surely try that out. This looks so yummy. 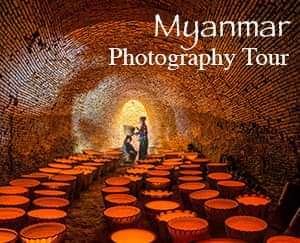 Would love to try it some time. I'm a vegetarian so it is not much fascinating to me! Me, too! Thank you for dropping by! Yup, really good. Thank you! Tim Ho Wan is making my taste buds fall for these Chinese Food. I'm a huge fan of Dim sum and love every opportunity to hang out with friends and enjoy it. It looks like you found a great place to enjoy it on your travels. This looks appetizing, the pictures you took were amazing, I wrote down the locations so if my travels ever bring me down to any of those places I will be sure to try it out, and I get you, it seems a little bit on the pricier side, but still since it has been 3 years since your last visit you were allowed to indulged some more. Chinese foods are super amazing. I love what am seeing. Not only the food sounds great but I must say ivan. Great article dear. They are really amazing. Flavors are always spot on. Thank you for dropping by! Yes, we're glad to have discovered this place. Yup, an occasional indulgence is always amazing. Do try it out also when you get to Hong Kong. Thank you! Go ahead and indulge! Their dim sum is something that is worth enjoying. Now am craving for this after reading your story. I have never dined at Tim Ho Wan in the Philippines. But I have been to Tim Ho Wan, Taipei. I wonder if the taste is comparable. Your pictures just made me hungry! I hope they taste the same. They should maintain it, being a Michelin-star restaurant (in Hong Kong). You need it! And soon!